Revolution Trains next model will portray the single unit PFA/KFA container flats built for Tiphook from 1987-88. Originally they were all coded PFA under TOPS, however this was soon changed to KFA. The first wagons were used to carry contaminated spoil from Chatham Dockyard to Stewartby in Bedfordshire; over the years they have been used for domestic refuse, containerised paper from Fort William, gypsum, MOD traffic and intermodal services. The map shows primary flows since 2010. 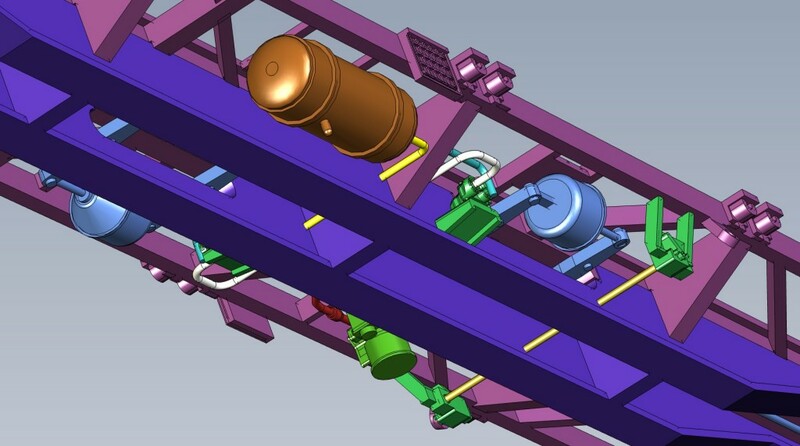 Currently they are in use with Freightliner on intermodal services, DB Cargo on intermodal and MOD traffic, GBRf for containerised gypsum and Network Rail for RHTT and other engineering modules. 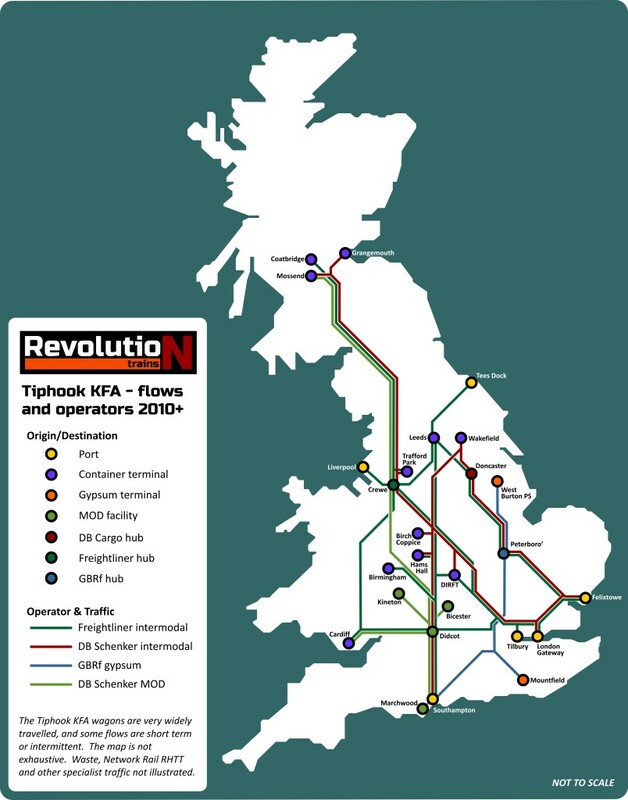 As the map shows they travel widely, and there are often other short term flows for specific contracts; and the map does not show Network Rail trains as these can travel widely – a pair of KFAs were recently recorded at Victoria station! 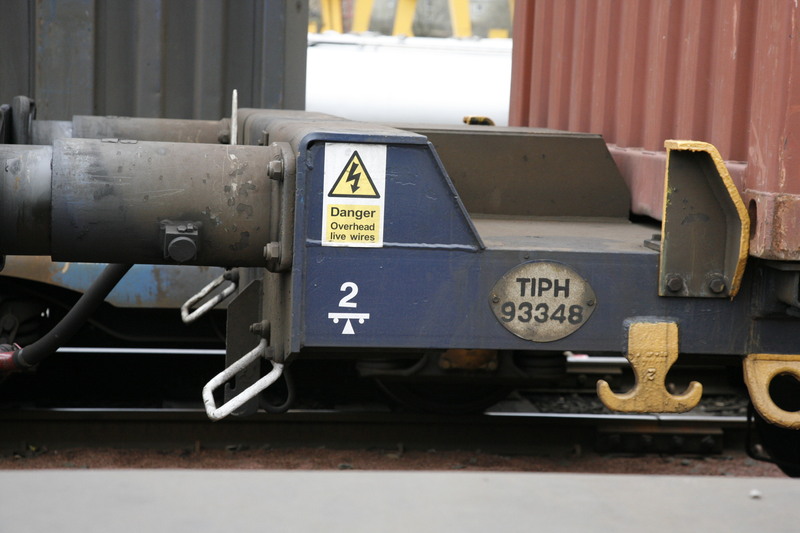 Because they have buffers at both ends the wagons are more flexible than other container units that are often in fixed rakes, hence their longevity. Like our popular TEA tankers, the model is being produced for us by Rapido Trains of Canada. 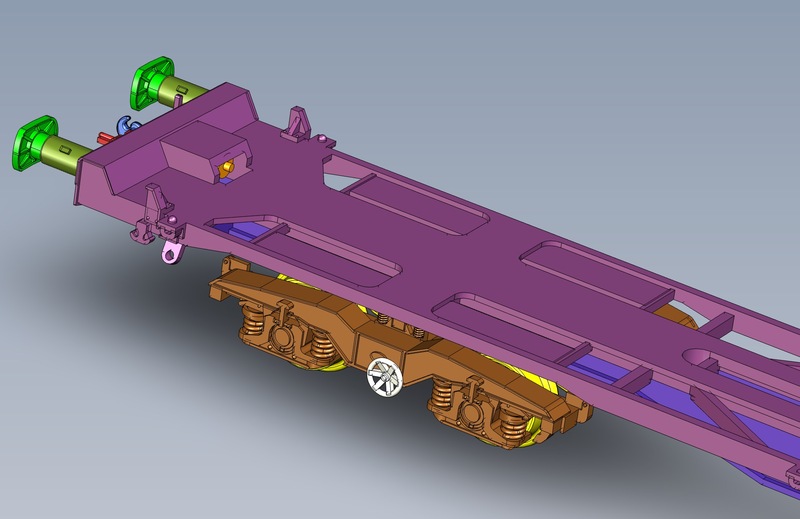 To ensure adequate weight the two longitudinal ribs, bogie bosses and lower end sections will be die cast in metal, while there will be detailed plastic deck and separately fitted brake parts and pipe runs. Illustrated below is a first draft CAD of the type with GPS bogies. This also has distinctive circular edged buffers; the other variant will have VNH-1 bogies and rectangular buffers. 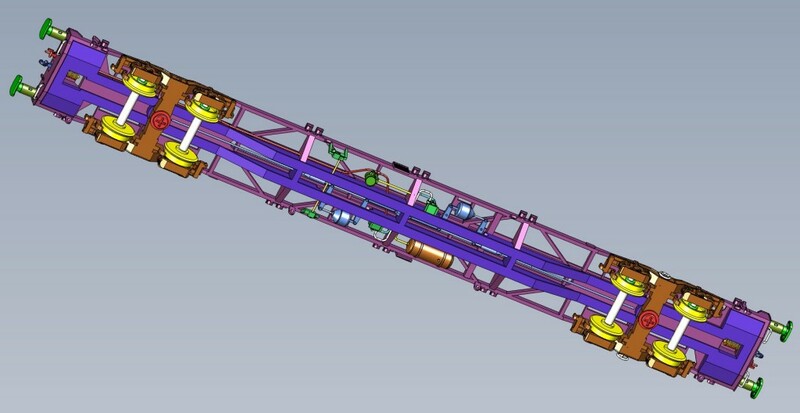 Although this CAD does not yet show them, the model will feature body-mounted NEM close couplers. We are proposing 6 liveries, and as with the tankers each version will also be available in multi-packs of three, each with different numbers if there is adequate demand. Please note that although we’ve indicated when the different variations were introduced, as they are wagons there was no guarantee that all the wagons would have been repainted/refurbished at the same time so there was often a lot of overlap between the versions (eg for current operations you will still see a mix of version 5 and 6, for early 90s you would see any of versions 1, 2, 4 or 5 etc)! To keep prices down, we are not supplying the wagons with containers and they are designed to be compatible with those of other manufacturers. Early bird price: £22 single wagon, £66 for pack of three. Standard price: £25 single wagon, £75 for pack of three. 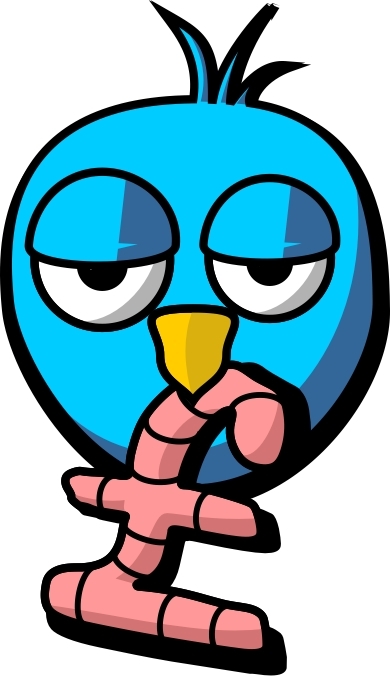 The early bird price will be available until end of June 2016.